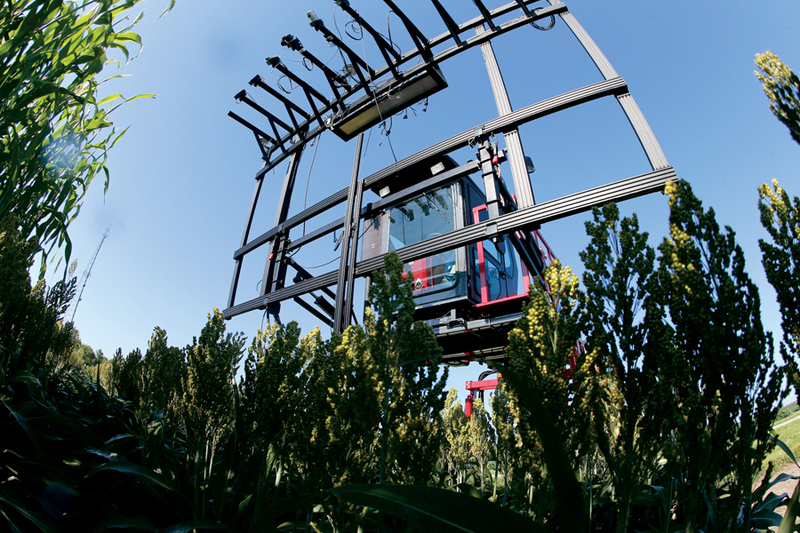 Purdue research is harnessing data science, artificial intelligence and remote sensing to improve sorghum varieties for biofuels by linking specific plant phenotypes, or characteristics, to their corresponding genetic information (genotypes). The immediate goal of the project is to use advanced sensing coupled with machine-learning techniques and biophysical modeling for high throughput phenotyping, with the longer-term goal of actually connecting the phenotypes to specific genes. The project is a partnership led by researchers in Purdue’s Colleges of Agriculture and Engineering, the Purdue Polytechnic Institute, IBM Research, and The University of Queensland. It is funded with a three-year, $6.5 million grant from the U.S. Department of Energy’s Advanced Research Projects Agency for projects focused on accelerating energy crop development for the production of renewable transportation fuels. Mitch Tuinstra, professor of plant breeding and genetics in the Department of Agronomy and the Wickersham Chair of Excellence Agricultural Research, is the principal investigator of the TERRA project. Melba Crawford, professor of agronomy, civil and electrical and computer engineering, and the Chair of Excellence in Earth Observation, is the project lead for Engineering. Research is being conducted by Ayman Habib, the Thomas A. Page Professor of Civil Engineering, as part of Purdue TERRA, a project that is funded by a $6.5 million grant from the U.S. Department of Energy that aims at improving the efficiency of correlating the gene characteristics of seeds and crop yield. 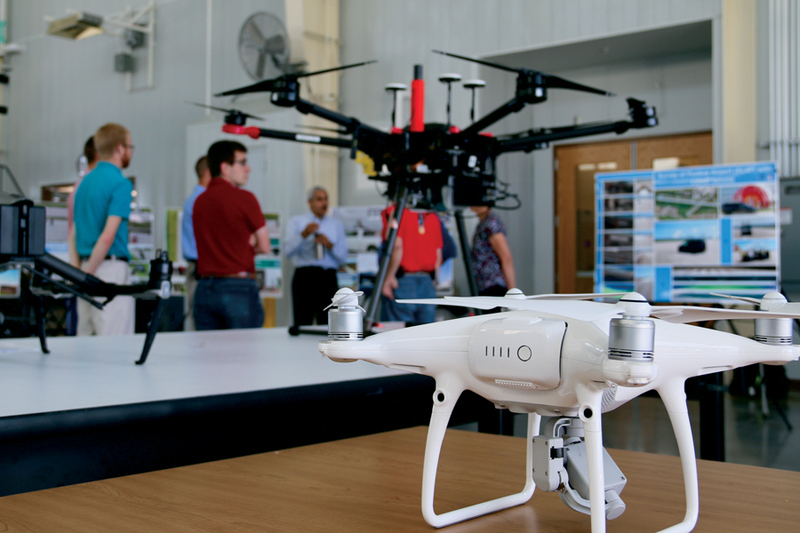 Habib’s focus is on using mobile mapping systems in the field of agricultural management. His remote sensing system provides precisely geo-located data that can be used by researchers to provide traits that can be plugged into models to arrive at information about biomass and other important plant traits. The best aspect of Habib’s research is its relevance across a wide variety of fields. “We are making precise, remote measurements of whatever phenomenon you are interested in much easier and more affordable,” Habib says. Whether the measurements apply to construction work zones, shore line erosion or agricultural management, such mapping systems and the processing algorithms developed by his team make a world of difference in helping deliver data to decision makers so they can achieve the best outcomes more efficiently.